On January 1, 2019, Dr. Falk Herrmann became the new CEO of Rohde & Schwarz Cybersecurity GmbH. Prior to taking on this position, the internationally experienced manager was CTO of the Security global business unit of Bosch Sicherheitssysteme GmbH. 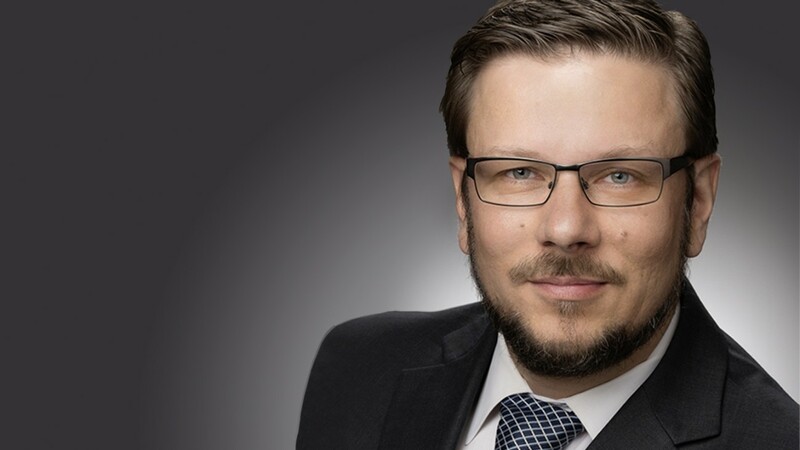 At the start of 2019, Dr. Falk Herrmann was appointed the new CEO of Rohde & Schwarz Cybersecurity GmbH. The mechanical engineer gained extensive international management experience during his 20-year career with the Bosch group, especially in the area of security systems. In various managerial positions, Dr. Herrmann successfully implemented strategies for developing innovative product families in growth markets. During his 20-year career with the Bosch Group, Dr. Herrmann worked for the Automotive Electronics Division, helped to start the Research and Technology Center in Palo Alto, California, and served in different engineering and business management capacities at the Security Systems Division in the US and in Germany. In 2008, he joined the Power Tools division as board member for research and development of the business unit Asia-Pacific. From 2012 to 2018, Dr. Herrmann has led the global business unit Intrusion Detection Systems of the Security Systems Division in Fairport, New York, before returning to Europe as CTO of the global business unit Security. Within the Rohde & Schwarz group, Dr. Herrmann will report directly to Ralf Koenzen, Executive Vice President of the Networks and Cybersecurity Division. Ralf Koenzen commented: "We are very pleased that Dr. Herrmann has joined us as CEO of Rohde & Schwarz Cybersecurity. He will use his expertise to shape the future-oriented development of the product and solution portfolio for our customers." As CEO, Dr. Herrmann wants to set the course for the company's continued success: "My goal is to position Rohde & Schwarz Cybersecurity for long-term market success based on innovative and trusted products in high-growth segments. Interfacing between a startup and the well-established Rohde & Schwarz corporate group offers interesting opportunities for shaping the future." Following the departure of Ammar Alkassar at the end of 2017, Reik Hesselbarth, the co-managing director and CFO, continued to head the company. After handing over the reins to Dr. Herrmann, Hesselbarth will be leaving the company at his own request in the spring of 2019 in order to take on a new challenge. Ralf Koenzen stated: "We thank Reik Hesselbarth for his outstanding commitment in the past years and are sorry to see him leave. We wish him all the best and continued success in his future endeavors."